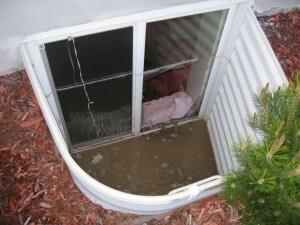 Flooded basements can be a serious problem for homeowners. Maybe you never go in your basement and discover a few days too late that it’s full of water and mold. Or, if your basement houses your furnace, water heater, washing machine, or other appliances, a flooded basement can become a much larger problem for you. In instances of basement flooding, the issue is sometimes unavoidable, but there are things you can do to reduce your risk of water damage, or to ensure that if water damage does occur, that you detect the problem quickly enough to avoid any permanent damage or structural issues. A sump pump can keep your basement from filling with water, and regular maintenance on things like sealing cracks in the foundation and checking water supply lines for signs of wear can prevent water damage. In the event something goes wrong, water alarms can be used to alert you of the presence of water if you rarely visit your basement. Depending on how much water is in your basement, removing it too quickly or too soon after local flooding can result in structural damage to your foundation. If your basement is flooded, avoid any guesswork and hire a water damage professional who can carefully extract any standing water, and who has the proper equipment to completely dry your basement. Basements are already at a higher risk of developing mold growth, and after water damage you risk increases. WET (Water Extraction Team) has the experience and training to handle any size water damage situation, whether your basement is filled with several feet of water or your water supply line to your washing machine leaked and left you with soaked floors and walls. Our team is available to respond to your water damage emergency 24/7, and are committed to delivering quality results with exceptional customer service. Contact us today.